For the majority of websites, images consume the most bandwidth and are the most requested content type. With images constituting such as large percentage of the web, what else can be done to reduce file size while preserving the perceived quality of images? This is where lossy image optimization comes in. Lossy image optimization allows between 30% to 70% file size reduction by discarding some of the image data. This lossy aspect has caused most people to immediately discount lossy image optimization as a realistic option. However this is short sighted. MP3s achieve enormous size reduction by using knowledge about how we hear and process sound to discard audio data without significant losses in perceived quality. Similarly, by intelligently approaching images and their content, we can apply different image formats and lossy compression schemes to achieve substantially smaller file sizes while maintaining image quality and user experience. Billy Hoffman is the founder of Zoompf and a recognized expert in the field of the web and web security. Billy was the lead researcher at web security firm SPI Dynamics and served as the manager for Hewlett-Packard's Web Security Research Group following Hewlett-Packard's acquisition of SPI in 2007. Billy's research has focused on Web 2.0 technology and security threats, automated discovery of web application vulnerabilities, and web crawling technologies. His work has been featured in Wired, Make magazine, Slashdot, G4TechTV, and in various other journals and Web sites. Billy has presented his work internationally and is regular presenter at security conferences including RSA, Black Hat, AJAXWorld, and Shmoocon. 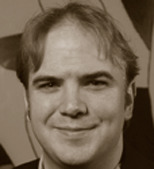 Billy is also the author of the book Ajax Security, the definitive guide to web security in a Web 2.0 world, published by Addison Wesley in December 2007.